I began reading Pondero late last year and it quickly became one of my must-read blogs. Pondero has a good sense of humor and an affinity for bike rides, coffee in the country, and relaxed moments hanging out with his bikes (at least two of which are Rivendells). 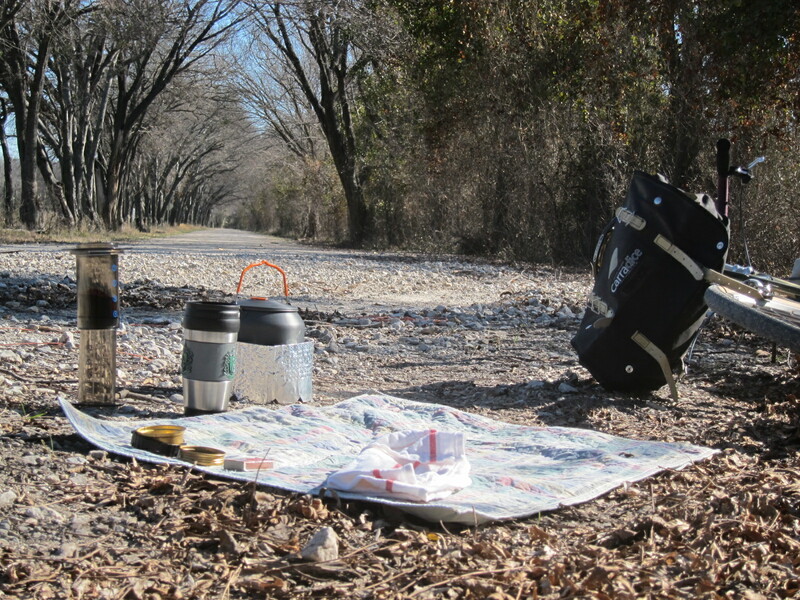 His recent post, “Roadside Encounter,” illustrating one of his recent coffee in the country experiences still makes me laugh when I read it and may give you a sense of what I mean. Most of all, whenever all the cars and asphalt start to get to me, reading Pondero gives me a virtual change of scenery and helps fuel my own bicycling get-aways from the city. 1. What part of the country do you live and ride around? 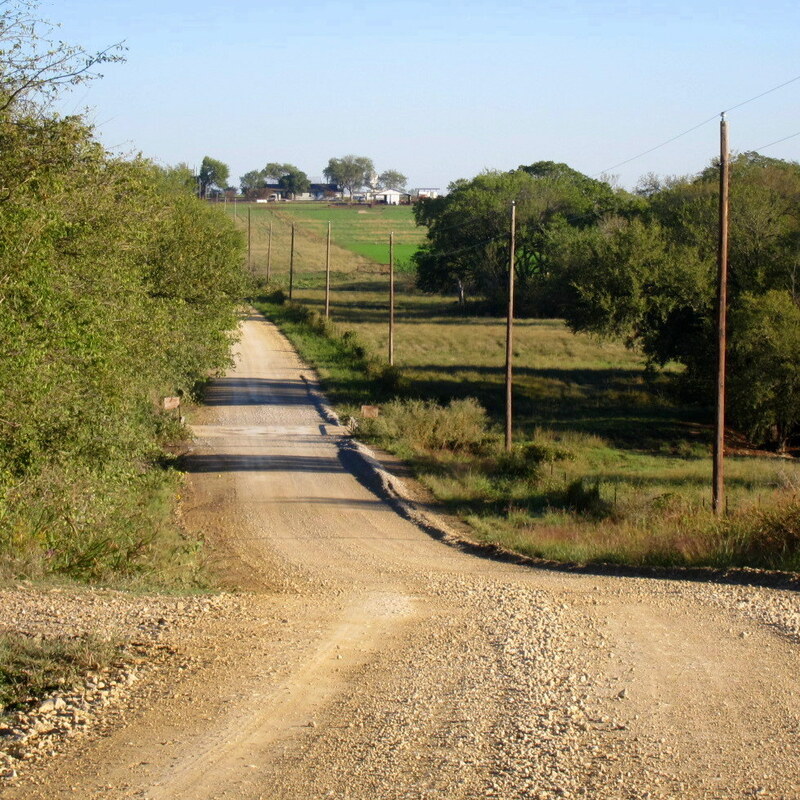 The blog covers my civilized adventures in four Texas counties– Denton, Cooke, Wise, and Montague. We live about six miles northwest of Sanger in northwest Denton County (an hour north of Fort Worth), which is near the intersection of these four square-shaped counties. I have looped routes from my house in all directions. 2. If you were to write a sentence summarizing your blog, what would it say? I’ve always characterized Pondero as being “Bicycle play, spiritual matters, and other ponderings”, but it really has evolved into a bunch of pictures of bicycles leaning against barbed wire fences. 3. What prompted you to start Pondero and why did you choose to write about bicycling? I figured the blog would be a good way to blend my desire to write down some of my observations and thoughts with keeping family and friends up to date. Because bicycling is such a major interest of mine, a lot of my early posts celebrated my rides in the country. I figured out that people aren’t very interested in what I think about, but seem to like seeing where my bicycle goes. 4. How did you come up with Pondero as your blog’s name? I knew from the beginning that I wanted a simple one-word description for my “observations and thoughts diary.” I wanted something general enough to allow me to cover a lot of topics without limitation. I wondered what the Latin word for “think” might be. Pondero is a Latin word that means “to weigh, consider, reflect”…and that seemed perfect. I suppose my intended audience is anyone that might have an interest in my type of non-epic cycling. I think a few family members and friends check in occasionally just to see how much more of a geek I’ve become. 6. What aspects of bicycling do you enjoy writing about? 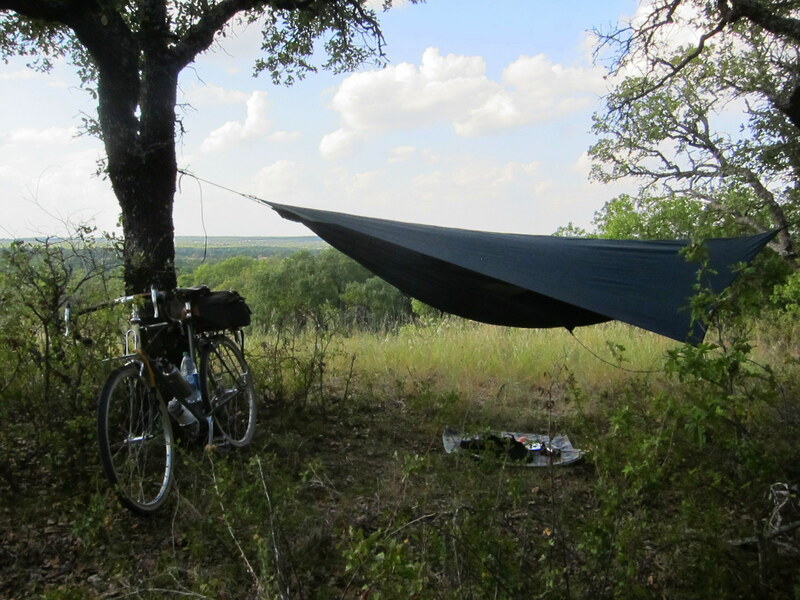 I like writing about bicycling experiences. Maybe the best answer to this question is in Grant Petersen’s book, Just Ride. I like day rambles with plenty of stops, low traffic paved and gravel roads, roadside coffee brew-ups…what I call micro-tours. I’m also a huge fan of the sub-24 hour-overnight (S24O), and hope to try a multi-day tour and write about that soon. 7. Your blog does a great job of melding photos into your posts to tell your cycling (or coffee!) stories. What role does photography play in your blogging? Thanks for the encouragement. The pictures play a huge role in what I do. My theory is that most readers live in a more urban setting and enjoy seeing the beauty of the countryside for a change. My hope is that people will see something they like and be inspired to experience the same kind of joy I have. 8. What are your favorite parts of being a blogger? Blogging has provided me many unexpected rewards. It has served as a creative outlet, helps me to record events for future reference, and allows me to connect with others who share my (strange by northwest Denton County norms) interests. One of the greatest rewards is actually having an opportunity to meet real people I only knew through mutual blog commenting. I’ve met several folks in the Dallas/Fort Worth area, and (to date) five others outside of Texas. 9. Was there anything about maintaining a blog that surprised you? I think reader reaction to posts is the biggest surprise. Sometimes I post something that I think would only interest me, and I’ll get a lot of encouraging comments. Other times I can post something that I believe will strike a chord with many readers and…nothing but crickets. Encouragement and humiliation always catch me off-guard. 10. Do you have any favorite posts? Some my early spiritual posts have special meaning, but probably only to me. Probably, because they are so rare, my favorite posts recap rides with other people. Here’s an example from an annual ride I host from my home, The _th Annual Fall Finale Forty-ish Mile Country Path Ramble. But the post that this question immediately brought to mind was the one below, in which I celebrate the only thing I do well. 10. What did I forget to ask you that I should have? What can we expect from Pondero in the future? I work in downtown Fort Worth have have taken one of my bikes down there. I plan to do some lunch break rides, and the occasional after-work ride in the city this winter and spring. Expect to see some more urban posts on Pondero soon. Oh yeah…hopefully, that multi-day tour will happen sometime in 2014 too. 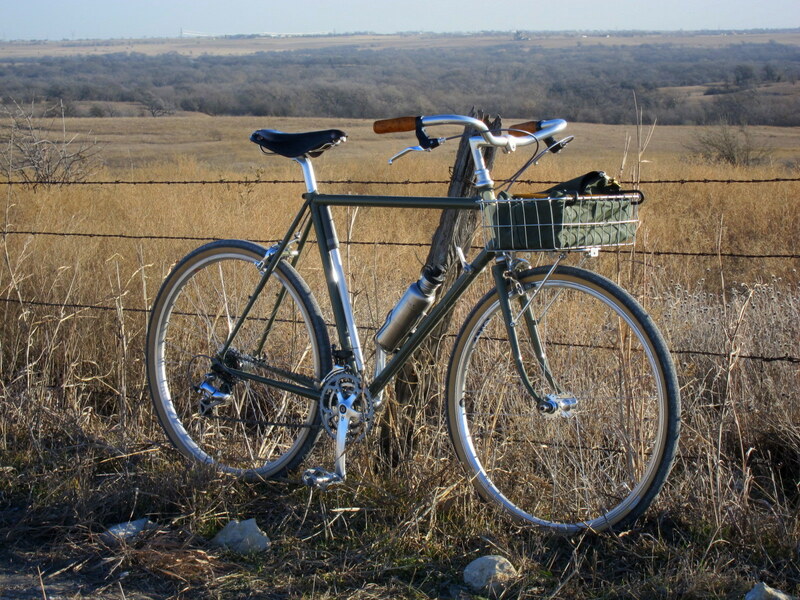 That’s a nice blog and very nice pictures, if only bicycles leaning against barb wire fences. I have my deepest roots in that part of the country (though I’ve domiciled in Virginia for almost all of the last 50 years). Denton is my hometown. My dad grew up there. My mother grew up in Decatur, county seat of Wise, to the west. I know that terrain as well as anywhere. Small world. After researching both, it seemed WordPress was perhaps more difficult to learn initially, but offered more options to customize. Customization was important to me. They also have a good mobile app (I can’t speak for that Blogger’s since I’ve never used it). I also was impressed with the WordPress forums and community. WordPress has worked well for me. I’ve had the pleasure of riding with Mr. Pondero on several occasions. He’s a gentleman and a scholar, and rides with a level of grace that makes most jealous.